The concept of brewery expansion is being redefined. Growth, in this industry, isn't about capacity. Some notable breweries who chased volumes to financial ruin. Expansion has become more about access, and creative capability. To borrow some bland corporate buzz words, craft breweries are right sizing and diversifying. Craft beer drinkers are a promiscuous lot. The promise of something new, and tasty will draw more repeat business than a stable list of class leading beers. Nano breweries and tap room micros can't keep this secret. Bigger players are adjusting their strategies. Less than a year after completing a $50 million upgrade to their million barrel (bbl) a year Comstock, MI production brewery, Bell's Brewery committed another 7 million to add two "pilot" systems to their operations. 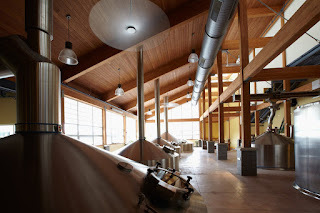 A 3 bbl system in the brewery's original building, now pub, in Kalamazoo and a 20 bbl brewhouse in the Comstock plant. These systems will barely contribute to the brewery's annual production volume, but will offer a chance to showcase creativity and innovate. After 30 years as a craft beer luminary, Bell's has plenty of laurels to rest upon but that would be a doomed strategy. As much as I love Two Hearted, and Expedition Stout, there's no social media buzz around these stalwarts. Look for some fun pub exclusives, and more limited release beers. Bell's will keep ringing out something new. The brewery is fortunate to be well capitalized, and unlike Smuttynose and Green Flash, able to adjust strategy and respond quickly to shifts in the market and demand. Bell's can simultaneously channel creativity to smaller projects, and sell excess product by expanding distribution to lucrative northeastern markets. Untapped opportunities remain in the Rockies, and on the Pacific Coast. Evidently, carefully managed growth and distributor relationships has paid off. Bells is here to stay, and has implemented a strategy to stay relevant. Portland Maine's Shipyard brewery is making some interesting changes to avoid obsolescence. The business owned a portfolio of brands including Seadog, Casco Bay, and the namesake Shipyard. They also ran a strong contract brewing business, packaging products for several 7 bbl brew houses Shipyard co-founder Alan Pugsley had helped start (Grittys, Wood Stock Inn, etc.). Presumably, the legacy contract brands are losing out to on premises consumption like everybody else. Shipyard has a very cool plan to reduce capacity. The Shipyard brewery recently submitted a 65 million dollar redevelopment proposal to the city of Portland. They plan to demolish their main brewery. Then, Shipyard will build condos, a brewery themed hotel, a pilot brew house with an emphasis on experimental and barrel aged brews. Portland has changed a lot in the past 20 years. What was once undesirable urban decay and a declining seaport is now hot real estate joining two hip neighborhoods. A boutique beer experience will suit the area, and strengthen the Shipyard brand. New breweries are emphasizing unique local experiences in their plans to grow their business. Everett, MA's Night Shift Brewery, operators of a hugely popular taproom, has announced what the popular press, and some beer writers have called a "massive expansion" into Boston proper. 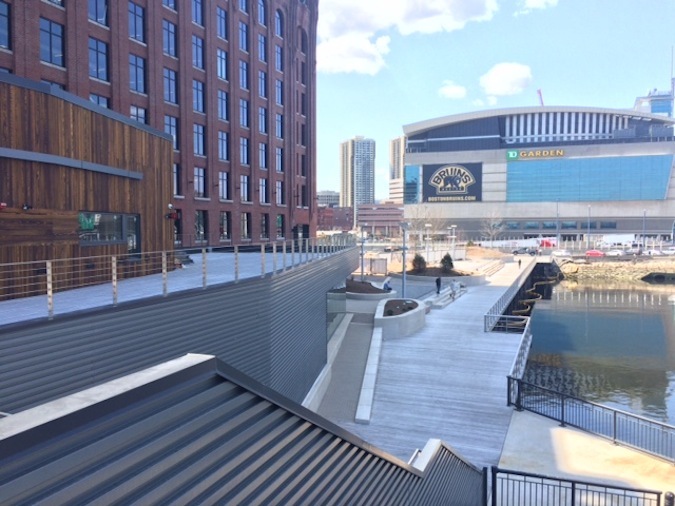 The foot print is huge - 12,000 square feet of prime real estate on Lovejoy Warf steps from Boston's TD Garden. Only ~4,000 will be dedicated to brewing. on mere 10 bbl system with an expected output of 2,500 bbls a year. Just enough to keep taps pouring during Bruins home games. As brewery expansions go, this is tiny. And that's the point. Night shift's existing and contracted production capacity will supply the volume beers. The new brewhouse will be dedicated to draft only options, innovation and weirdness. It will have products unique to the location, and responsive to local tastes. The promise isn't to make more of the same, but to bring the brewery's characteristic spirit to a more convenient location. American craft beer is increasingly synonymous with local beer. The definition if the latter is contracting significantly. The conversation isn't about best beers in a region, or even a state. Craft beer is neighborhood beer. The most vibrant neighborhoods are full of characters. Some come from the old world with traditions, some follow trends, others try to make something new. It's a delight to see how setting influences the way these characters come together.